In honour of Valentine’s Day approaching, I am declaring it Love Week at ChooseYA and having a week of reviews and discussion on love stories and romance in YA. To kick this off is my recent review of The Statistical Probability of Love at First Sight. Jennifer E Smith’s debut novel, The Statistical Probability of Love at First Sight, has garnered a lot of hype and I would argue, it matches it. Smith tells the story of Hadley who is on her way to her dad’s wedding across the pond in London when she misses her flight. Enter Oliver, an adorable British student at Yale who is on his way home on the next flight. the two of connect and the novel chronicles before, during and after the flight. I loved that both characters had their own problems that couldn’t be solved by romance. In YA there can be a sense that romance is depicted as a solution to problems and not complicate them, when in life it is not that easy. This book however narrowly avoids this trope and I was really grateful for that. The dialogue is exceptionally well-written and the relationship between the characters never feels rushed, which could so easily happen in a book like this. There is a wonderful humour and lightness to the book, as well as having some darker and more issue driven moments scattered throughout the novel but overall the lightness prevails as this is essentially a love story. The real-time framing to the novel was really effective as well. As this is a technique I am more familiar with in fast paced shows such as 24, I was a little dubious when I first found about the set-up, however as I love ‘real-time’ as a concept in writing I was excited to see how Smith executed it and was very pleasantly surprised. I really felt like I was taken on the journey with Hadley to reconnect with her father and I could understand how she felt. She grew a lot in a very short space of time but in a realistic way that I have to hand Smith a lot of credit for. As for Oliver, he already has a spot on my favourite YA romantic interests. He was funny, sensitive and engaging, but under the surface there was a world of complication that was carefully depicted and hinted at. I loved his sense of humour as well and lighthearted way, which later I found a testament to his character when you discover what is happening in his life at that moment. 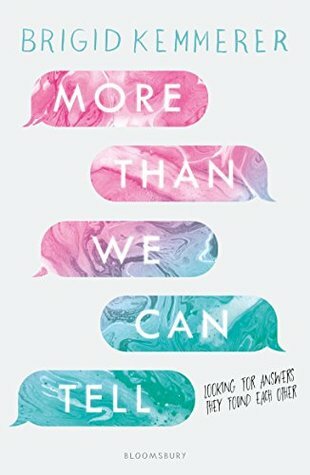 I highly recommend this novel for those who want a good quality, well written and engaging YA romance or contemporary fiction read. This book carries appeal to adults and teens alike. And I am now even more excited to read this! It is currently staring at me, urging me on but since I have more review books to get to first, it will simply have to wait!